Developed in the 1980s by the makers of Swatch watches, the name smart is an acronym of Swatch, Mercedes and Art. Before the existence of the smart car, Mercedes-Benz had developed concept prototypes of a small car called the Micro Compact Car (MCC). Whilst the new prototypes were tested in America, the chairman of the Board of Management of Mercedes-Benz AG, Werner Niefer, welcomed a visitor, Nicholas Hayek. The aim of this meeting was to implement the ideas Nicholas had in order to impact the development of the MCC decisively. Nicholas Hayek, the inventor of Swatch watch, had an idea of revolutionising the processes used to produce Swatches and applying it to manufacture cars. Hayek dreamed of a small car for private transport in urban areas – a car that would stand out for its environmental compatibility and practicality as much as for its value for money. 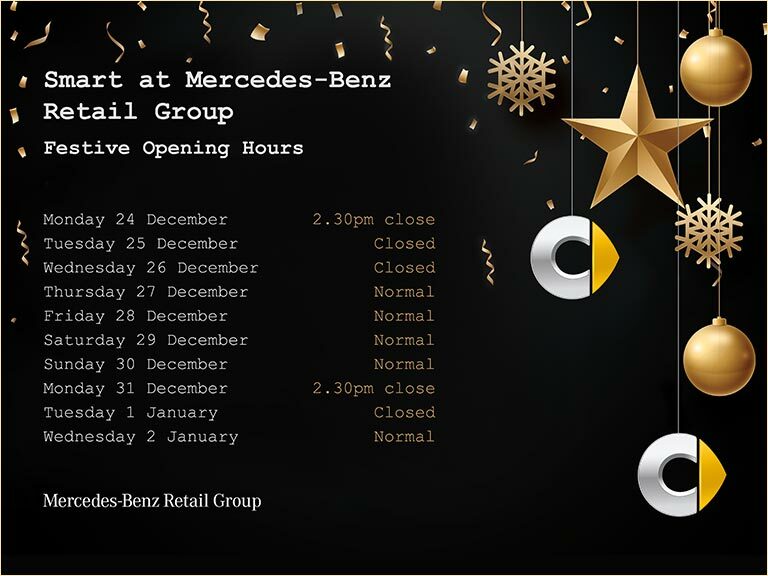 In 1998 Mercedes-Benz took full control of the business and smart GmbH was born. Introduced to the UK in the year 2000, it didn't take long for the smart car to become popular among drivers, especially in city locations. The concept that is constantly moving, evolving and inspiring. Asking and answering all your questions on city living, both big and small. Now a global brand synonymous with being the intelligent choice for the modern motorist, smart very much lives up to its name. In its own unique way, smart provides many answers to questions of individual mobility, especially in urban areas. It takes up little space, consumes minimal fuel and emits very low levels of carbon dioxide but still carries passengers and their luggage to their destination – comfortably and safely. The smart range has been continually developed over the last decade and the innovation continues today: don't hesitate to book a test drive in the new smart fortwo and forfour at one of our dealerships to see the latest model in the smart range.